Coffee lovers rejoice! 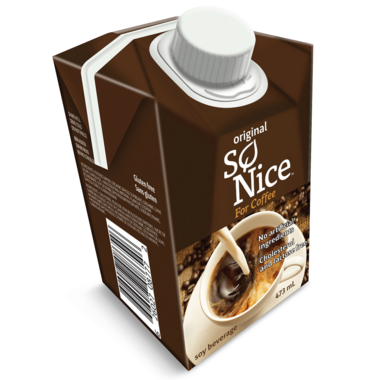 Everything you love about So Nice soy beverage can now be added to your favourite coffee based beverages. This soy creamer is shelf stable so you can load up your pantries and it will be there when you need it. Serve chilled and refrigerate after opening. Soy creamer stays fresh 7-10 days after opening. 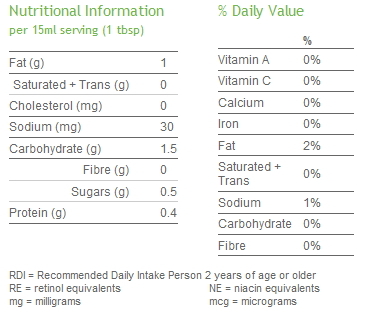 As with all So Nice products it is low in fat, gluten free, lactose, high in calcium and a good source of protein. So Nice uses only non-GMO, whole organic soybeans. ​Ingredients: Filtered Water, Organic Whole Soybeans, Canola Oil, Maltodextrin, Organic Cane Sugar, Sodium Bicarbonate, Soy Lecithin, Dipotassium Phosphate, Sodium Citrate, Tapioca Starch, , Natural Flavour, Carrageenan. Been struggling to find a creamer without trans or saturated fats because of a recent liver problem I have been diagnosed with. This is light, refreshing, and tastes great! I Love this creamer. So delicious. The best of the best of all vegan coffee creamers. Nothing compares to it. This is hands down my favourite vegan creamer. I find most non-dairy milks/creams watery but this one is definitely the creamiest. So glad Well.ca carries it! By far the best soy creamer on the market. Good product. Much creamier than using soy, almond or rice milk. Best unsweetened dairy free creamer. This is the best vegan coffee creamer. It is awesome in iced coffee-doesn't get all chunky like some nut/soy milks do!! Amazing. Wish it came in a larger container. The only downside is its fairly expensive for the amount you get....but I think its worth it and I promise you I have tried every other brand out there! This creamer is by far the best non-dairy coffee creamer on the market. It smooths out and enhances the coffee taste, rather than bury it with a strange like all the others seem to.